Have any plans this weekend after the typhoon? Well Kenny from Grano is throwing an Oktoberfest festival with beer and sake on Monday the 8th of October. Taihei loves going to events, big or small. This Oktoberfest isn’t run by some big corporation, but it is a uniquely Japanese style festival that has the community in mind. 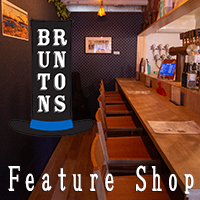 It will start from noon until 6pm and Kenny from Grano was kind enough to email a list of the beers and sake that will be available as well as other details for this event. The Oktoberfest will have entertainment with live music, such as blues from the Yamakin Blues Band, a violinist and a saxophone player from the Grano crew, and DJ Kenny (we think it’s the same Kenny). If music isn’t your thing, there will be games for the kids: fishing for a yo-yo balloon or a bouncy ball. There will be some adult drinking games too: beer pong and maybe a “ビアファイター選手権” match (but this game was left with a question mark in the email). As for food, there will be a local sushi restaurant (Sumikaze) with their pop up table and live sushi show. Sushi starts at 500 yen. If sushi isn’t what you will be peckish for, there will grilled German style pork at 1,000 yen, currywurst at 500 yen, Roman style pizza at 1,000 yen, pretzels at 500 yen, and more. Prices for beer are 500 yen for 360ml, and between 1,500 yen to 2,000 yen for 1.2 liters. As for sake, 500 yen for 180ml. 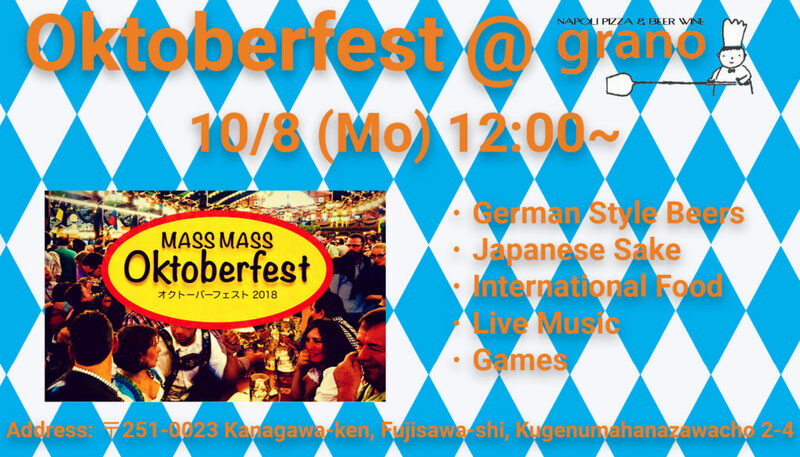 This entry was posted in Events, Kanto and tagged 2018 Events, Events, Fujisawa Oktoberfest, Oktoberfest. Bookmark the permalink.